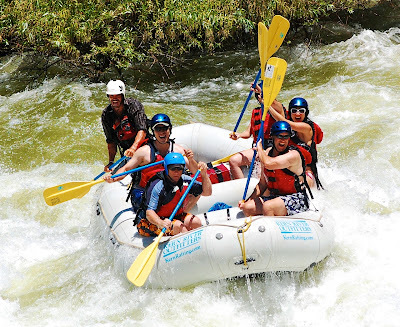 The 2011 rafting season here on the Kern River has officially come to a close, however we wanted to take a moment to give a big “THANKS” to all of our valued customers who joined us on the river this year. It was a season that provided enough adventures and smiles to last a lifetime and we couldn’t have done it without all of you. The past couple of days, an early arctic storm has pounded the Sierra Nevada and with it, the promise of yet another fabulous year of rafting in 2012. Keep your collective fingers crossed for more “Bigwater” and thanks again to everyone for making it all possible.